Taking trips to the areas where we send our groups is hugely important to us here at Success Tours. 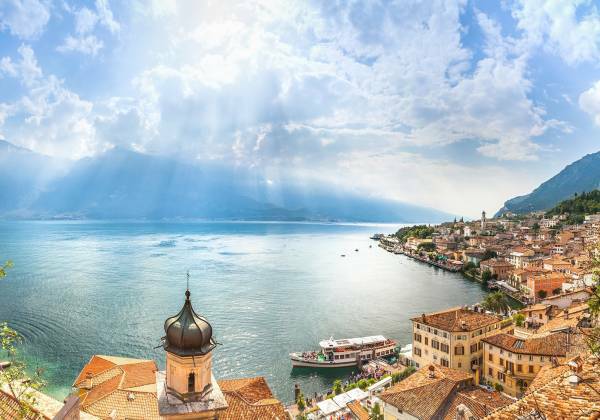 Having first-hand knowledge of an area – specifically, of its attractions, its hotels and how easy it is to travel from place to place – is invaluable, so that we can build bespoke itineraries that are perfect for each individual group’s requirements. 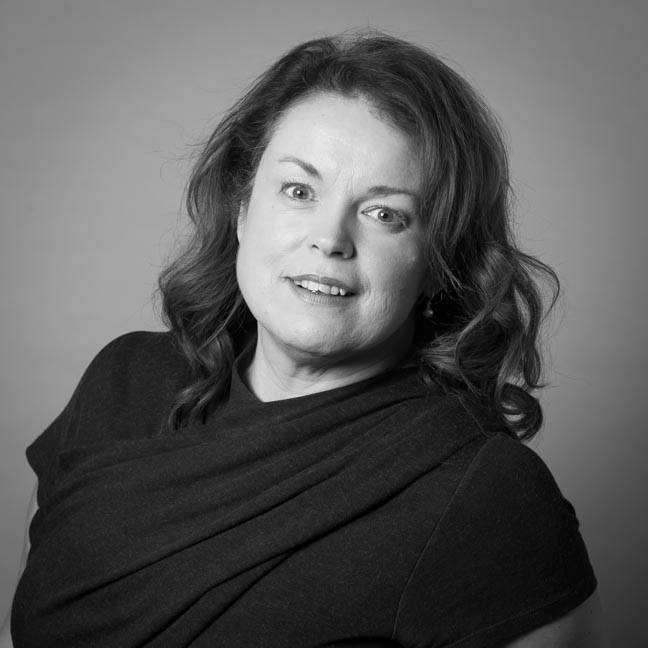 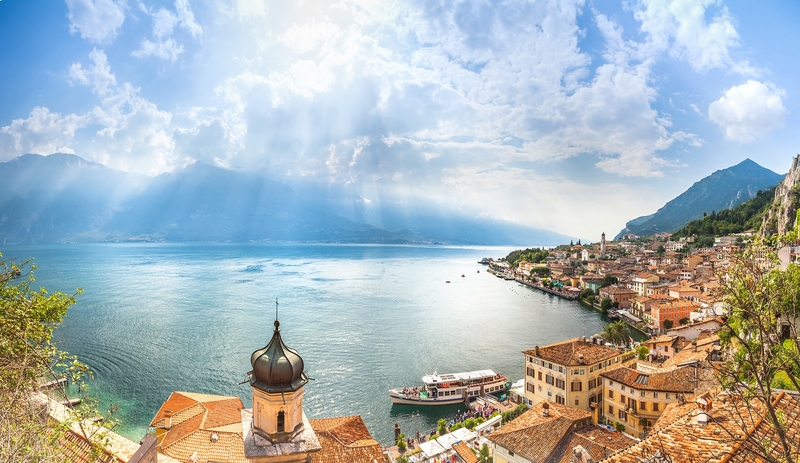 It means that our team truly are experts when it comes to advising what kinds of hotels and itineraries fit a particular group. 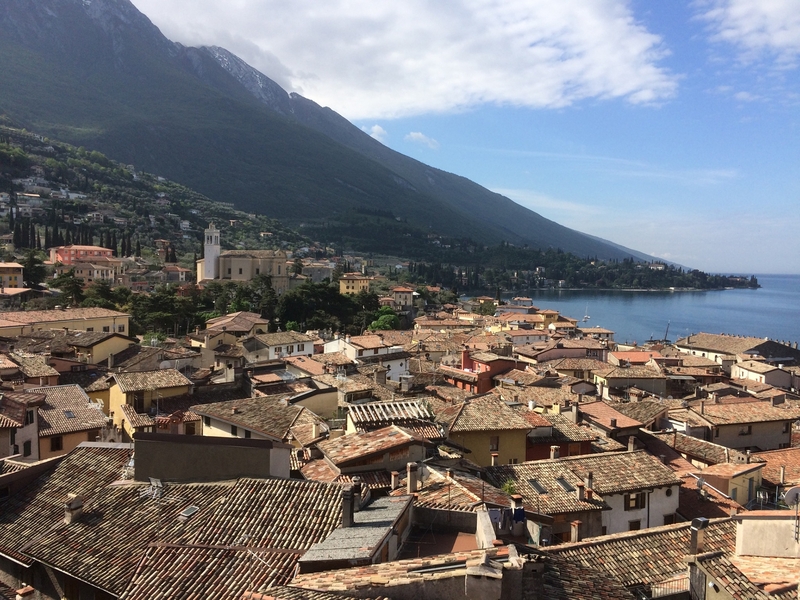 After flying in to Verona, we drove up to the Hotel Drago in the small town of Assenza. 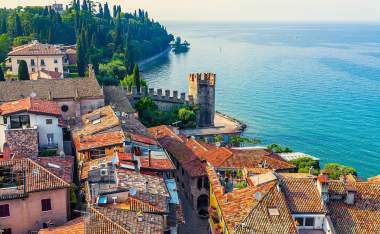 Assenza sits on the shore of Lake Garda between Malcesine and Brenzone, surrounded by olive groves. 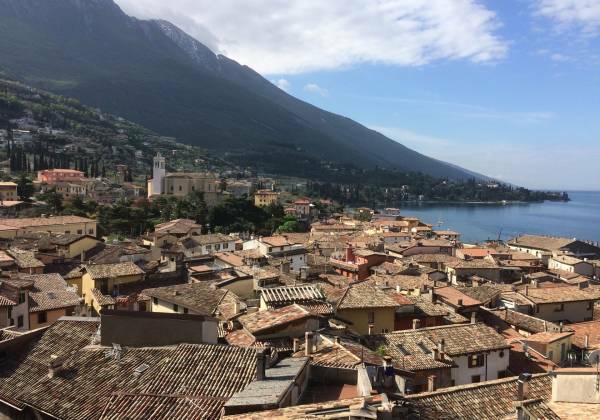 The Hotel Drago was a good standard 3-star hotel – my room had lovely lake views and was really comfortable. 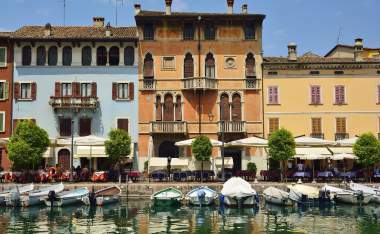 I particularly liked the little lakeside bar, owned by the hotel, that was about to open for the season. 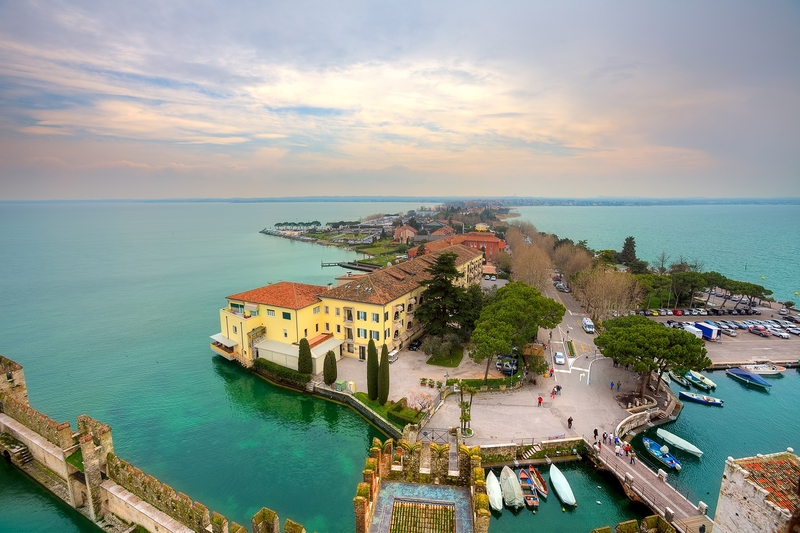 The hotel, on the Strada Gardesana, looks out towards the small island of Trimelone. 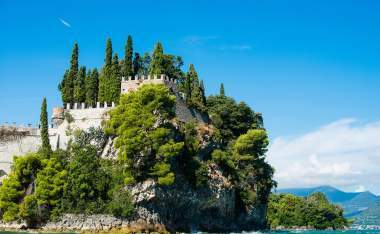 Today we drove to the elegant town of Gardone Riviera, known for its lush gardens, lakeside promenade and grand, historic villas. 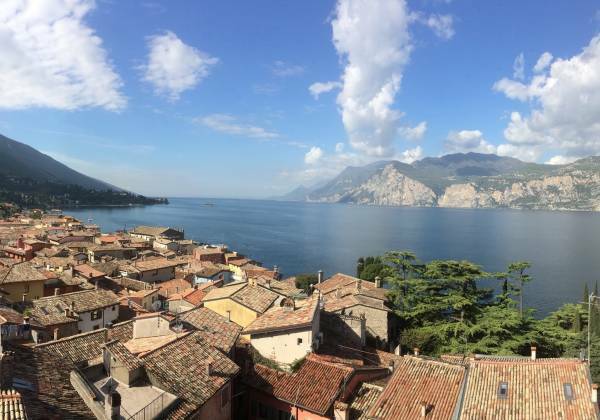 Here we visited the Grand Hotel Gardone Riviera, a classic upmarket Italian hotel. 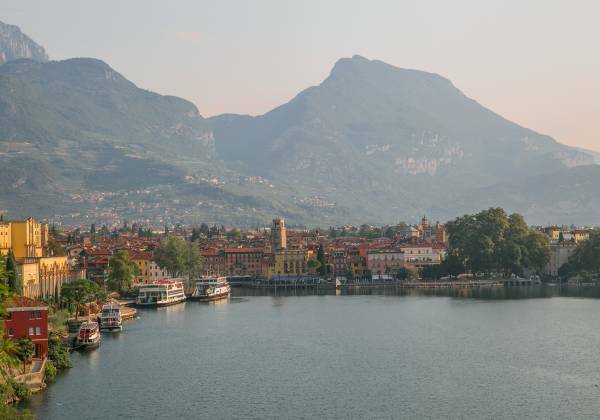 Certainly, the spaces in this hotel lived up to the name with opulent furnishings and high ceilings – the decking area with access into the lake for swimming was an especially lovely feature. The bedrooms were typically Italian in style. 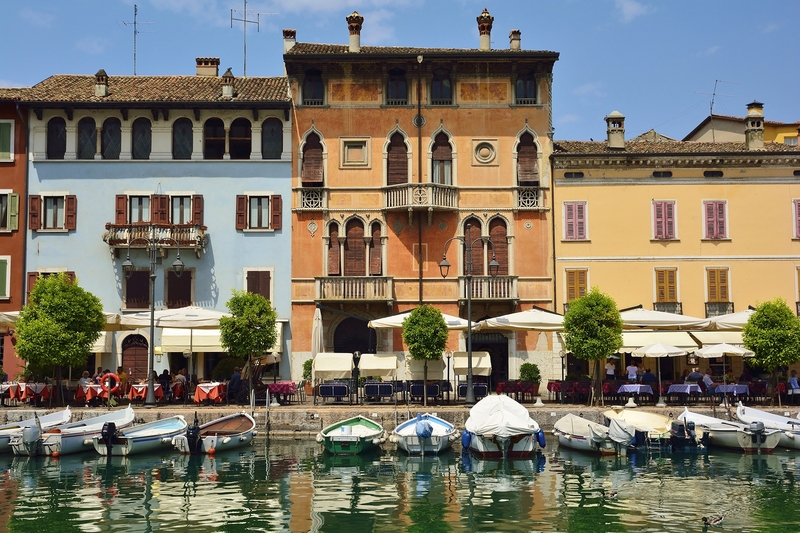 We then had time to explore three jewels of Garda’s southern shores: Desenzano del Garda, Sirmione and Lazise. 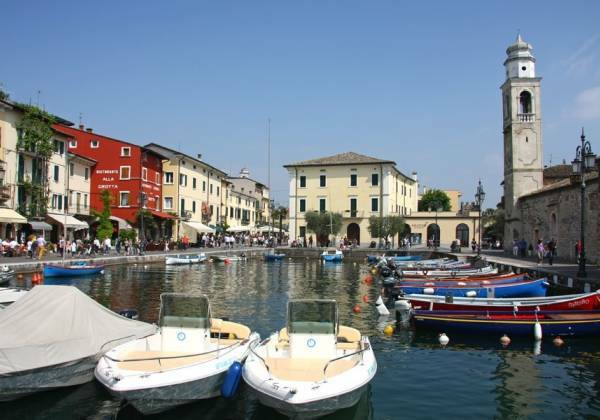 The south of the lake is defined by plenty of harbourside towns lined with bustling cafes full of locals and tourists alike, all basking in the relaxed atmosphere and enjoying the local cuisine. 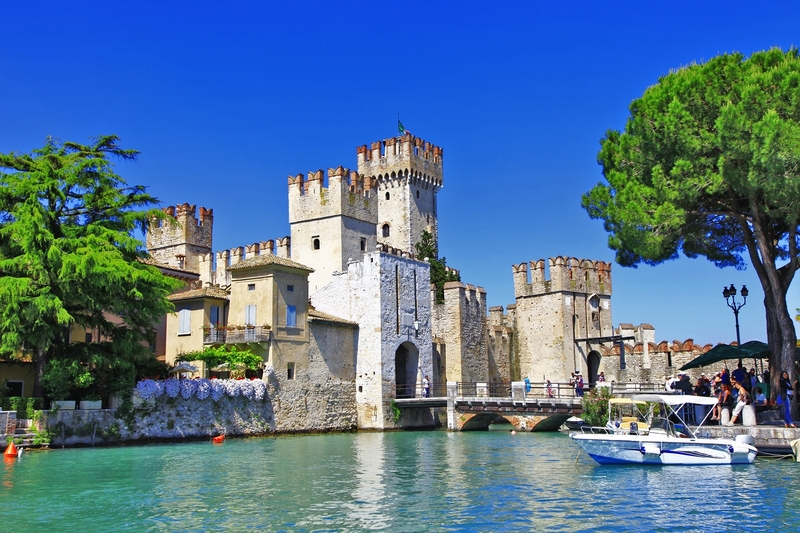 Desenzano del Garda is home to ancient Roman relics, a medieval castle and grand views of the lake. 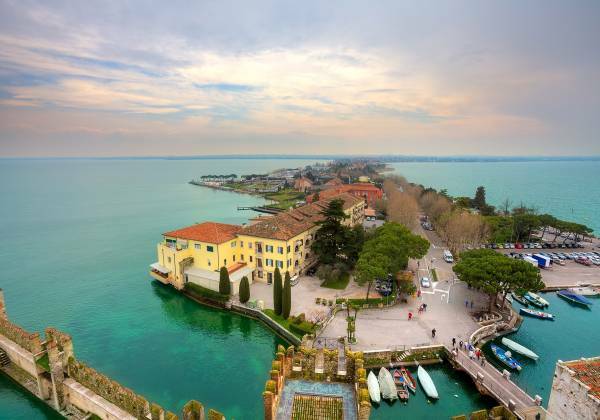 Sirmione is a treasure trove of narrow alleys and rich history, stuck into the lake on a narrow peninsula and a source of healing thermal waters. 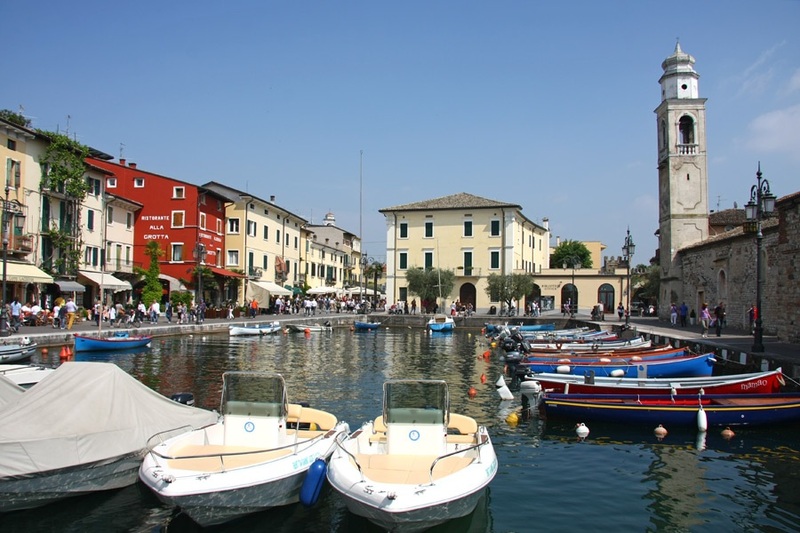 It was Lazise, however, that was one of the highlights of my trip – this beautiful little town was one I knew little about, but it really was a lovely surprise with its pretty harbour and quaint streets. Our final visit of the day was to the Parc Hotel Gritti Bardonlino – a good standard, large hotel on the lake front with an array of facilities – I can see why it makes a great option for many groups. 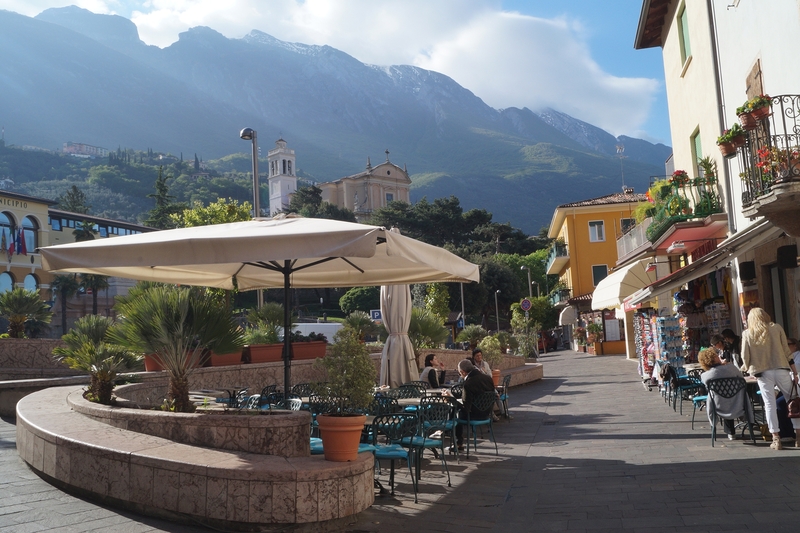 Today, we headed towards the north of Lake Garda and visited Malcesine – probably the most picturesque town on Lake Garda, it is backed by a mountain and lapped by the sparkling waters. 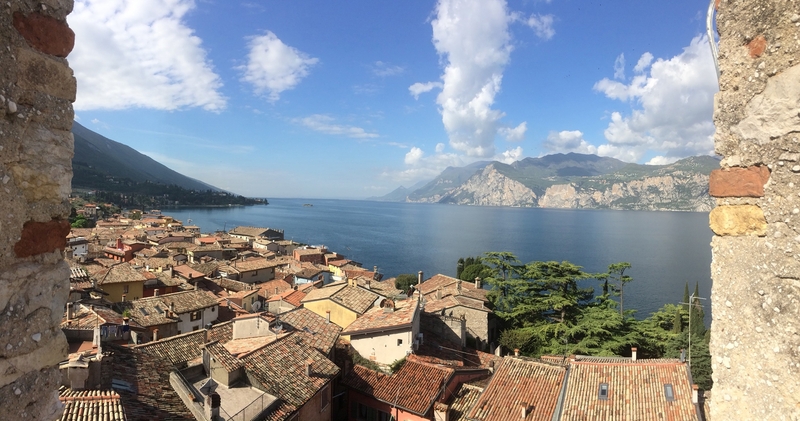 One of the most memorable parts of the trip was walking up to Malcesine’s ancient Castello Scaligero to explore and take in the views, which were absolutely stunning! 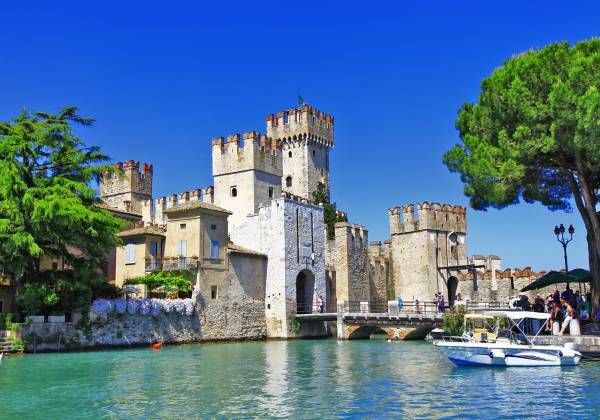 This medieval fortress towers majestically above the lake, with a romantic atmosphere. 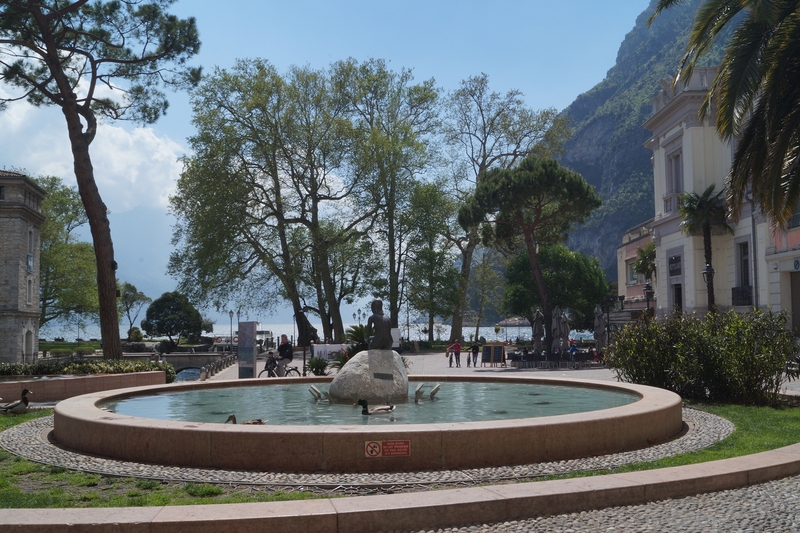 I managed to get some great photos before taking the boat across Lake Garda to lovely Limone, a town which is truly a feast for the senses. As far as the eye can see, lemon everything adorns the shops, spilling out into the narrow streets in glorious floods of yellow – you can’t help but feel happy with the vibrant colour and uplifting scents. 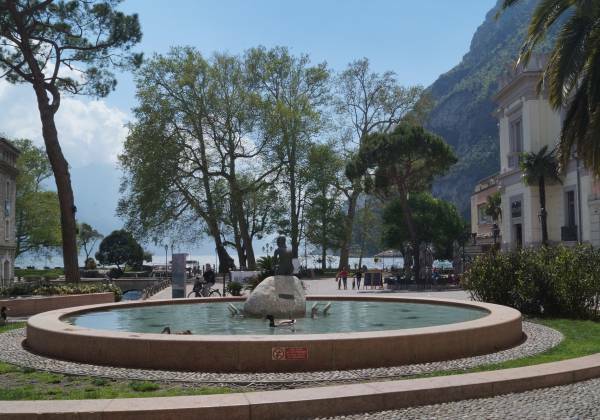 This area is hugely popular with tourists, so it’s well worth wandering north from the harbour, where you’ll be rewarded with quieter café terraces nestled amongst abandoned lemon groves, with plenty of spots to relax and take in the lake views. Another boat then took us to Riva del Garda. 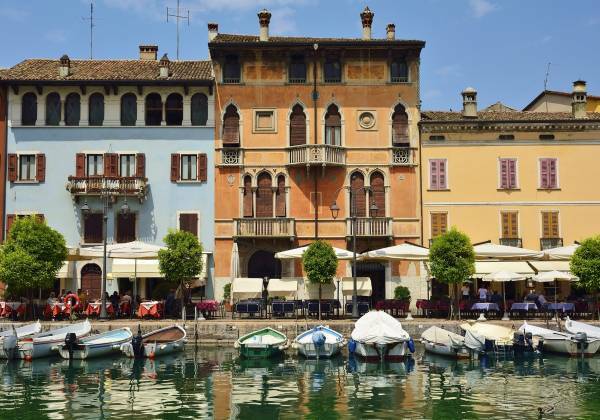 This bright, breezy resort at the northern tip of Lake Garda, with its baroque buildings, was a perfect spot for a scenic lunch. 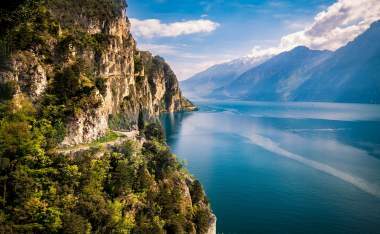 But what came as a surprise to me today was the distinct difference between the north and south lake towns – in architecture, and scenery. 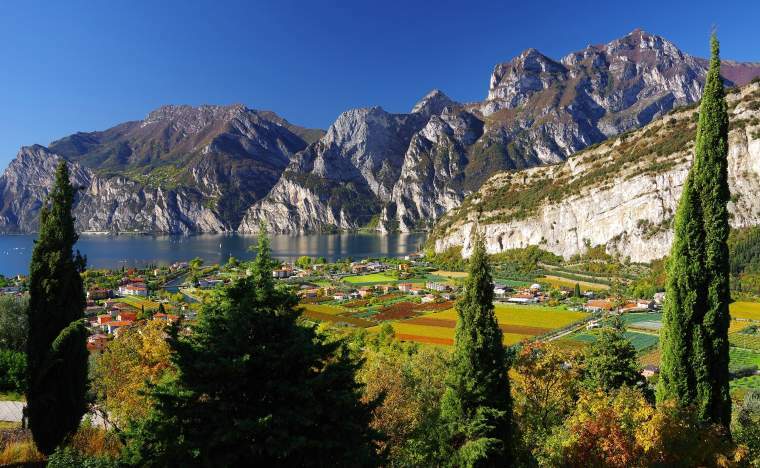 The north is dominated by the impressive mountains and the architecture has a more Austrian feel to it; the south is characterised by soft, rolling hills and a warmer climate. 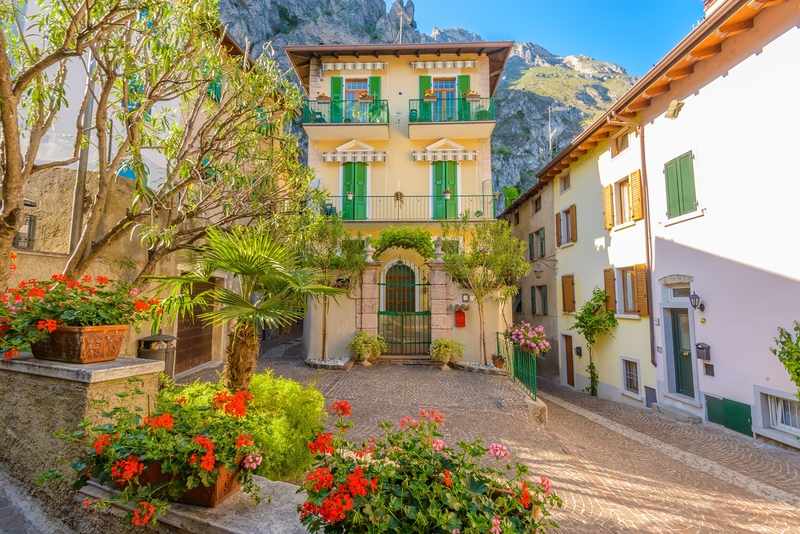 From there we took a detour into the mountains to Fai della Paganella and the Hotel Paganella in the Dolomites. The views as we drove up the mountainside were simply stunning. 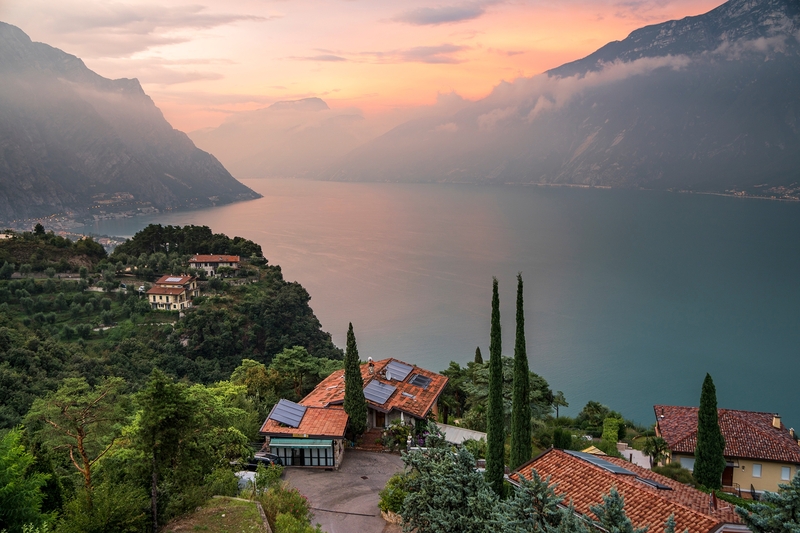 The Hotel Paganella itself is truly unique – a traditional family-run hotel with the warmest welcome from the owner, Fausto, and all his family. 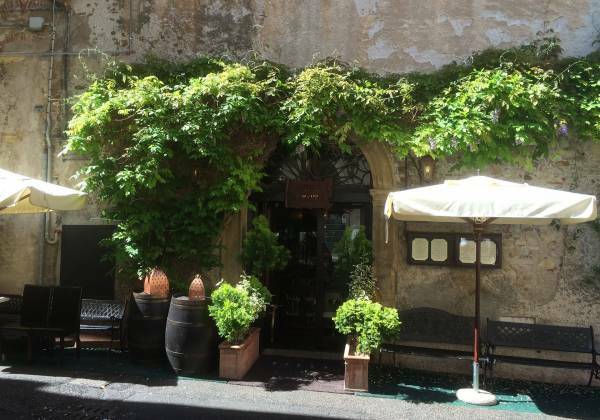 It had a warm, comfortable and relaxing atmosphere. 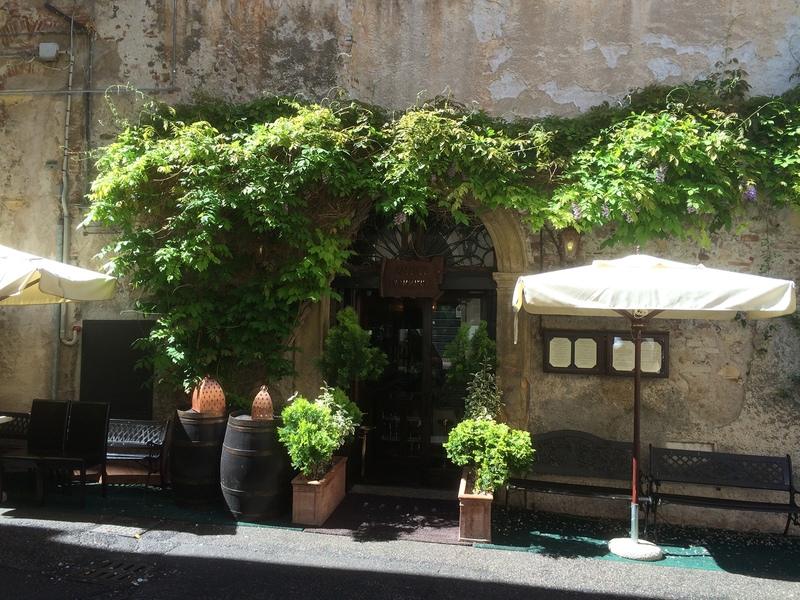 The cosy, cavern-like bar – along with the plentiful wine & olives – were great! 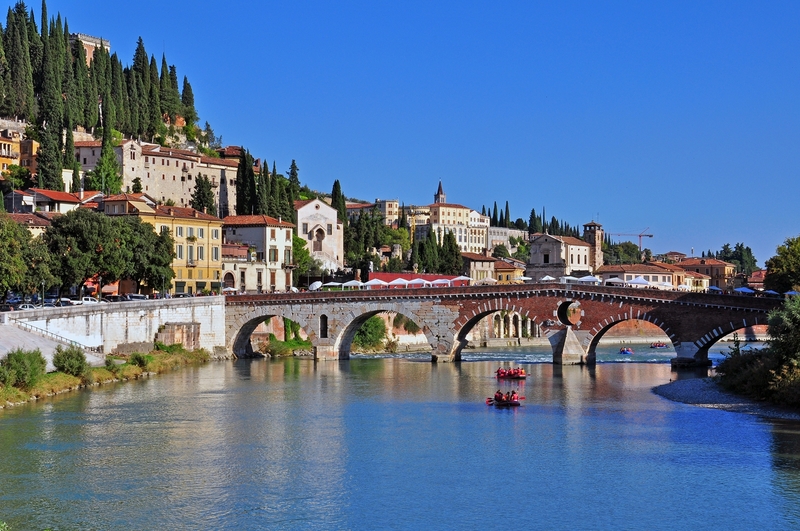 On our final day, we drove to Verona, which was a delight. 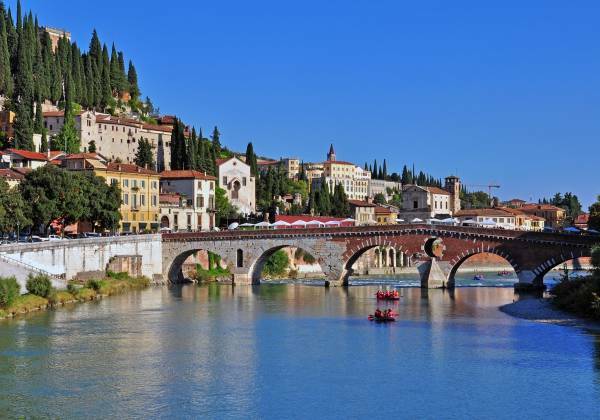 We explored the beautiful city on foot, seeing the ‘Romeo & Juliet’ balcony and the city’s famous 1st century amphitheatre, and sampled the local gelato before heading to Verona airport for the return flight. 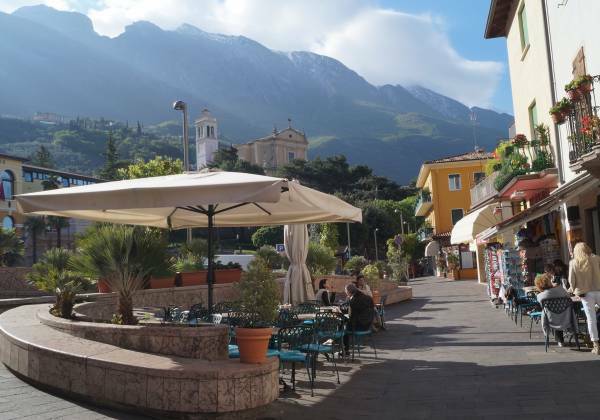 All in all, our visit was successful way to get an overview of the area and a good understanding of the different hotels we can offer our groups. 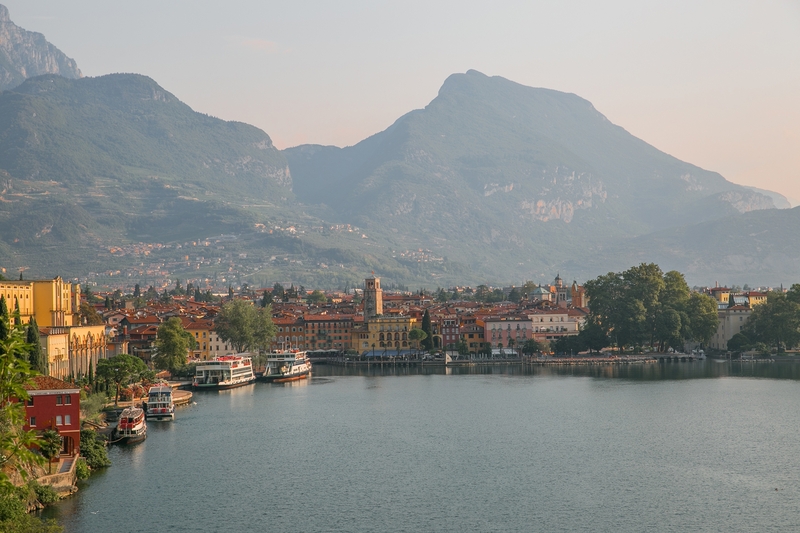 Getting around each destination by road was easy and convenient – however, for me, the novelty of taking boats across the lake to explore other towns was simply wonderful; when you’re travelling by boat, every route is the scenic route! 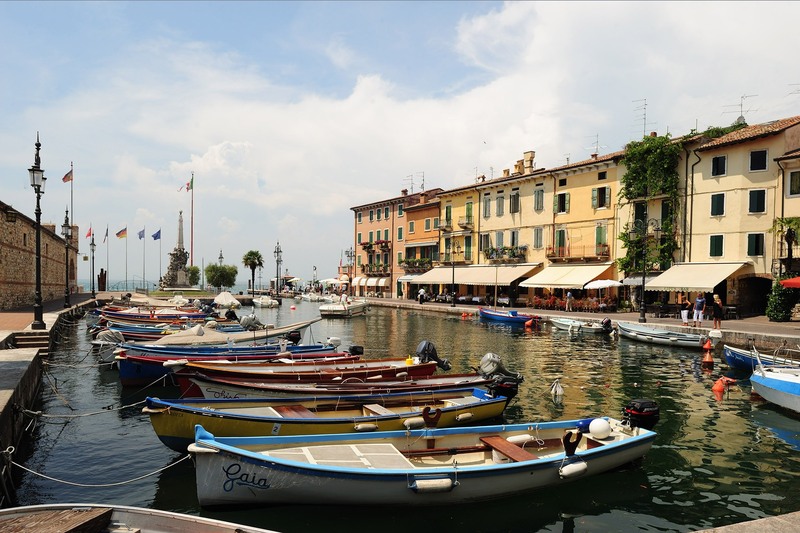 The boat trips are a wholly relaxing and enjoyable way to travel, giving you the chance to really appreciate the grandeur of the area at a laid-back Italian pace. As a lover of fresh air & countryside, hidden courtyards and unusual architecture, I can see why Lake Garda makes a wonderful destination to relax and explore.